Travels of a Madman: Travelling around Cape Town? Choose Airport Shuttle! Travelling around Cape Town? Choose Airport Shuttle! 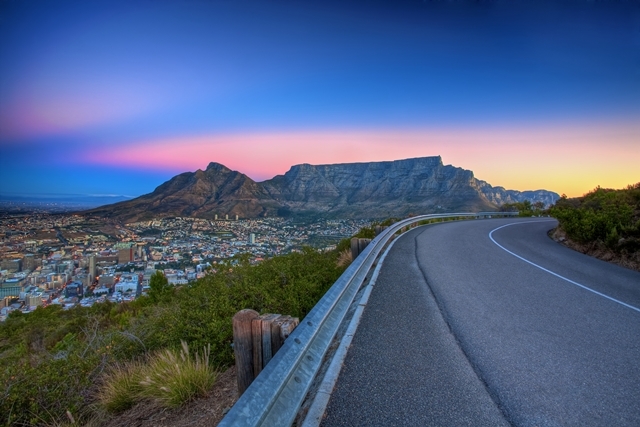 Travelling around Cape Town can be fairly easy for people who have lived in Cape Town for a long period of time, but getting around Cape Town for a business person, tourist or someone who has recently relocated can be a bit confusing. As someone who has recently arrived in the Mother City, you’ll want to choose a mode of transport that is affordable, fast and doesn’t compromise on comfort and safety. That is why it is best to choose Airport Shuttle in Cape Town! But why should you choose an airport shuttle as transportation in Cape Town? Those who use public transportation such as the bus, train, taxi, etc. may have experiences that might not cut it. These public modes of transportation often have problems such as not arriving on time, over-the-top prices and uncomfortable vehicles. When it comes to driving a car in Cape Town, for those who aren’t used to the traffic and erratic drivers, it can be quite a scary, stressful experience. So, it is usually a better idea to opt for a shuttle service to drive you where you need to be. By using a shuttle service, such as one that takes you to and from the airport in Cape Town, you will get to your destination in a way that is more than ideal and not terrifying at all! Fortunately for those who are on a business trip, vacation with the family or simply need to get somewhere quickly and on time, Cape Town is home to a range of reliable shuttle service companies, and this includes Airport Shuttle! Yes, we agree that taking an airport shuttle is probably going to cost you more than taking the MyCiTi bus, however it is a small price to pay when it comes to convenience, comfortability, safety and your overall wellbeing. Plus when does a bus or taxi ever drop you off right at the exact point of your disembarkation? There are a wide range of transport options in Cape Town, and also a range of different types of taxi services you can use. The minibus taxi is a shared taxi that has multiple different stops, the private taxi’s with meters, Uber taxi’s (we all know how those work) and the trusted airport taxi’s (Airport Shuttle). If you are someone who does not reside in Cape Town and you do not know all the safety precautions, it is best to avoid the private taxi’s that do not any branding on their vehicles – there is a high chance that these aren’t real “taxi’s” and they probably won’t have a meter installed inside. When you arrive at Cape Town International Airport, you’ll probably be bombarded by taxi drivers trying to find people who don’t have a lift to their destinations. Stay away from them! Do not accept a ride from a taxi driver like this; you have no idea who the driver is, what vehicle he is driving and how safe it is. It would be better for your safety if you give Airport Shuttle in Cape Town a call on +27 (0)21 551 8785 | +27 (0)82 951 3646 or use the easy online booking system to organise a ride that is relaxed, comfortable and reliable. Before you organise your ride home, whether you choose to use Airport Shuttle or a metered tax service, make sure you know exactly where your location is and how far away it is. This way you can know how long the journey should take, give or take a few minutes. Always keep in mind that it is your right as a passenger to ensure that the taxi driver uses a meter to calculate how much your trip should cost. Instead of relying on a minibus taxi, bus service or train, rather give a local airport shuttle company a call and they will assist you.